Research is the basis of our investment decisions. To us, research isn’t just compiling numbers and data. tenancy agreements signed? Only with this information is one in a position to evaluate comparable investments and assess market rents correctly. We don’t just analyse the logistics real estate markets. We also look closely at the user side. We don’t consider research as a look back but as a look forward. In the investment process, we can use a combination of top-down and bottom-up strategies to plan reliably, control risk and so guarantee a balanced risk/return profile. 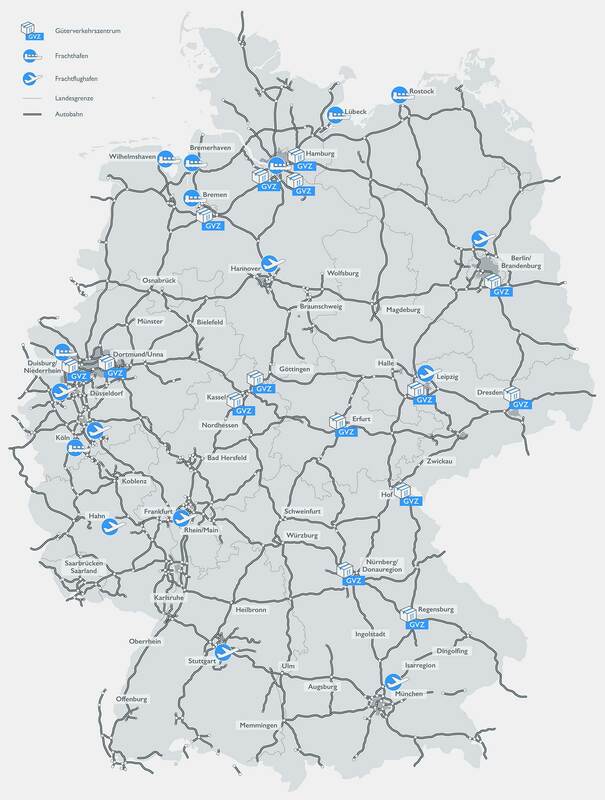 The logistics industry is one of the biggest economic sectors in Germany and makes a significant contribution to the strength of the national economy. Over the past few years the logistics market has not only grown steadily but the scope of tasks within the corporate landscape has greatly changed. Services have expanded from pure transport, handling and storage processes to complex planning functions and the coordination of entire supply chain networks. Logistics, therefore, are an important factor of success for different industries and create dynamic market conditions for investment decisions. Therefore, we don’t just keep an eye on the property, but also on the market changes and the requirements of the companies as tenants. Logistics properties are key elements for smooth processes along the supply chain – for handling, storage and value-added services. 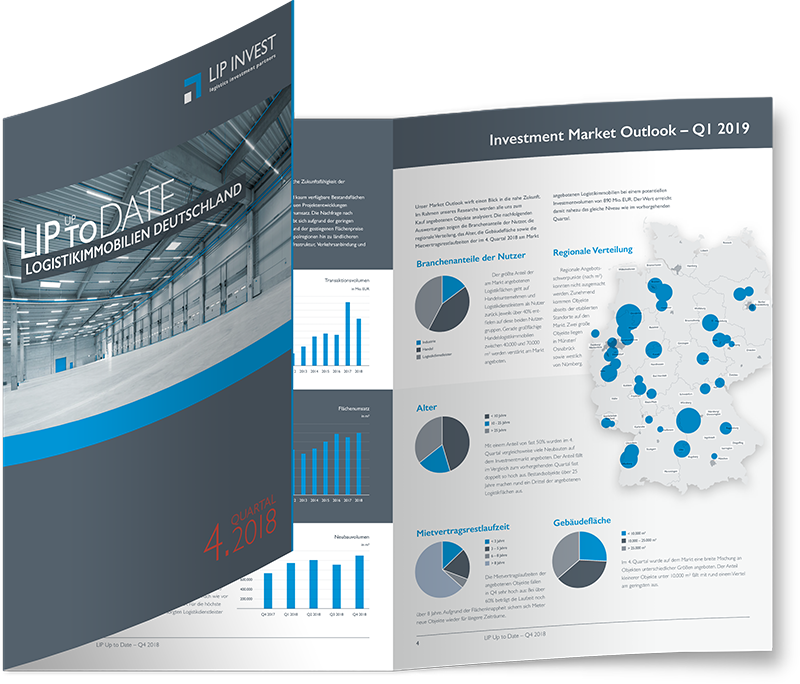 The large amount of new builds in the past few years demonstrates a sustained demand for logistics space – which is not limited to a few top locations but relatively widely spread across Germany. Not every location is equally suitable for logistics sites or tasks however. The combination of object specifications and local factors determine the third-party usability and so the chances of reletting. When making investment decisions, we always consider the synergy between real estate and location. As an asset class, logistics properties are well-established in the market, whereby the demand for investment opportunities for institutional investors is steadily increasing. With our research we would like to contribute to the professionalisation of the industry and increase market transparency. In the framework of our inter-disciplinary network, we support the exchange of knowledge between all those involved in the investment process. We make our results available to everyone. Whether through specialist articles for real estate or investment media, publications, presentations or lectures at universities, we pass on our knowledge and research findings. Logistics property as capital investment for institutional investors has been established for many years. However, the uncertainty about the opportunities and risk in this asset class is still high amongst investors. Many still miss the transparency in the market that is common in Anglo-Saxon countries. With our comprehensive and intensive research, we always look to the future and outside the box. With our blog posts, we would like to bring transparency into these markets and report on trends and future developments.